To be honest if you are not using a personality test to make your career decisions then you run the risk of taking the wrong career path. What is the basis of your career decisions? Is it your qualifications? Is it your work experience? Chances are you are living with career decisions that you were largely condemned to when you were a teenager. You want to make sure you are on the right career path. The only thing that really matters when making a career decision is your personality. It is critical that your personality and your work environment are in harmony. Even if you like the money, have the skills, have the qualifications and the experience, if the personality fit isn’t present then you will never really enjoy what you do. This is why we created an entire site dedicated to the subject of career. Head over to CareerPsychometrics.com and make sure your career is on the right path. It will answer questions such as “What’s my ideal job?”. What is the right career path? It’s important you enjoy your work if you want to enjoy success. Understanding your personality is the first step you need to take to pick a better career path. Before you surf as much as a job board, make sure you complete a personality test and use it to guide your career decisions. It may tell you the exact job title but it will describe some of the key elements that must be present for you to excel. 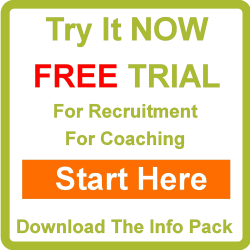 If you are job hunting then you are almost guaranteed to come across a psychometric test so make sure you are prepared. But this is about much more than preparing for a job interview. This is about making sure you go to the right interview for jobs that actually suit you. So don’t miss out the first and most important step. You do not need to live with the decisions you made as a teenager. Pick a better career path using your understanding of your personality.